Trekking, mountain-biking, kayaking and horse-riding whilst based in eco-friendly luxury yurts. 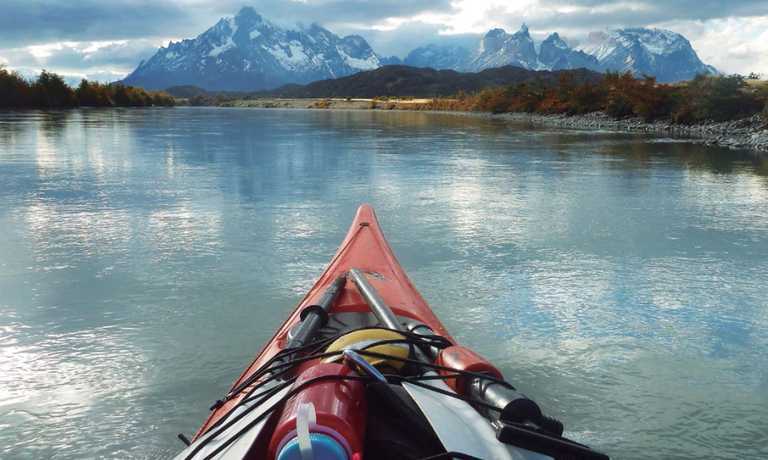 This trip takes you on a truly action-packed adventure in the Torres del Paine National Park. With everything included, you'll be living as close to nature as is possible whilst in comfort. The trip begins with you being picked up from your hotel in Punta Arenas or Punta Arenas airport in the morning and driven to your accommodation, located in the world-famous Torres del Paine National Park. 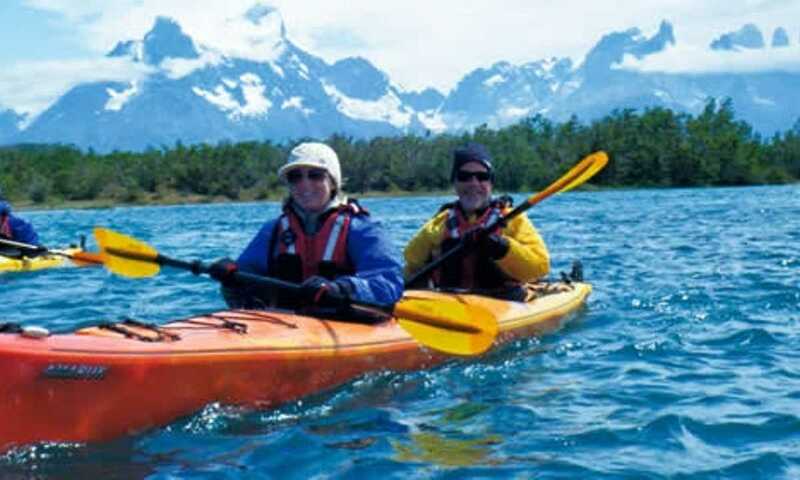 Alternatively, you can start your trip in Calafate. En route you make a couple of stops - First in Puerto Natales, a small, lively town on the shores of "Seno de Ultima Esperanza", where you'll enjoy a hearty local lunch, and second at Cueva de Milodon, a massive prehistoric cave where the remains of a giant ground sloth were discovered in the 1890's. The journey is scenic and highly atmospheric, featuring many wild birds and wonderful Patagonian landscapes. The day ends with your arrival and overnight stay at your camp, nestled in the heart of Torres del Paine National Park and with a prime view of the majestic Torres. Sunset is usually around 11pm during the summer months, meaning that there will still be enough daylight for you to admire the Patagonian steppe with its guanacos and snow-peaked mountain horizon once you arrive. After breakfast, you'll start your biking adventure. The roughly 10 km morning bike excursion follows a route inside the Laguna Azul estancia close to where it meets Baguales, heading up to Saltos Las Chinas. Once you are back at Laguna Azul, you will enjoy your picnic lunch with a beautiful view of the Towers and when you are ready to continue, the van will take you to the next bike track. This 17 km biking excursion follows a single track through Canadon Macho, finishing at a junction with the road near Cascada Paine. Although the cycling is not too demanding, there are some sections of the trail that have some difficulty at the point where Canadon Macho crosses a meadow and starts climbing, followed by an undulating stretch of descent, which is a little steep and rocky. After breakfast at camp, you will head off at 9am to Grey Lake in the western sector of the park, about a two hour drive away. You cross the glacier lake in a boat, during which you will get to enjoy views of the Paine massif in addition to the impressive glacier which forms part of the Southern Patagonian Ice Field. Near the glacier you leave your boat and spend your day kayaking on the Grey Lake! But before you jump into your kayaking gear (neoprene suit, waterproof-jacket, gloves, life jacket, spray skirt and boots) and get into your group kayaks, you will have a safety briefing. 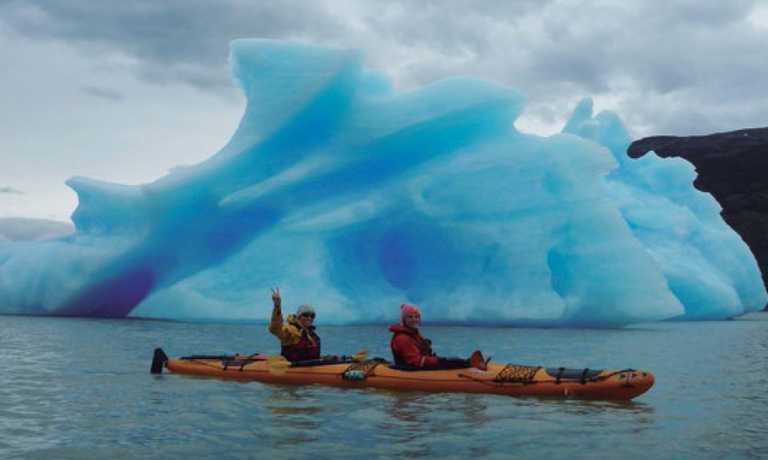 Then you'll paddle out into the lake and head towards the eastern face of the glacier! Navigating your way in between gigantic floating icebergs, eventually you'll come almost face-to-face with the mighty wall of the glacier itself. Your guide will offer you a snack and hot drink to replenish your energies, while you admire the immensity of the iceberg and its myriad shades of blue. Later, you'll take the boat back passing the glacier, before you board the van returning to camp for our evening aperitif and meal. NOTE: The boat trip is dependent on a minimum of 8 passengers as well as on weather conditions. It may also take a different route from that described above, visiting different sights. If it is cancelled, an alternative excursion in the park will be planned. One of the best ways to enjoy all that Patagonia has to offer is by riding through it on horseback. This excursion departs at 9:30am, after you have had a hearty breakfast at camp. You will admire the most spectacular parts of Paine hill with a full day of horseback riding. Venturing through forest and crossing streams, all the while surrounded by amazing greenery. There are 5 different prairies along this trip and experienced riders are welcome to gallop through these parts at their leisure. If you visit in February, you will be able see the Encantado valley. 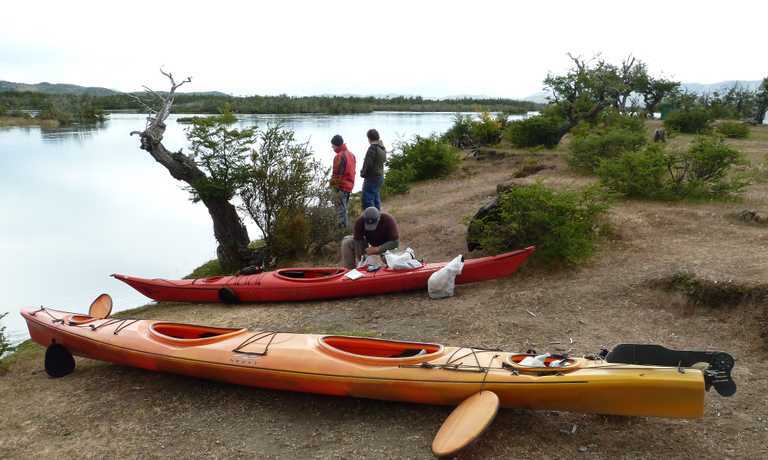 Lunch will be served at the Seron campsite, where we will enjoy a spectacular view, featuring parts of las Torres, Mount Admiral Nieto, the Blue lagoon and the Paine river. Depending on your group you can decide to stay out riding past 4:00pm or choose to head back to camp earlier and enjoy an evening cocktail. If you are a horseback riding fanatic this is the perfect adventure for you! If this excursion is cancelled because of climate conditions, it will be replaced by the trek to French Valley. We will walk from camp towards Hosteria Las Torres before ascending to Ascencio Valley on the Tower's eastern face. Mountain ridges, beech forests and small rivers line the scenic walk towards the valley. Our big challenge comes in the form of the steep moraine, a huge mass of boulders which will lead us to that iconic base-view of the Towers - Three gigantic granite monoliths, the remains of a great cirque sheared away by the forces of glacial ice. After a tough uphill climb, the Towers eventually come into full view, rising majestically before us, with the glacial lake visible below. Is there any better place in the world to have lunch? After feasting on the view and our picnic, we backtrack along the same trail through Ascencio Valley and return to camp for a well-deserved dinner. You'll board an early morning vehicle, sit back, relax, and enjoy a scenic ride back to Punta Arenas on time to catch the evening flight to Santiago. This trip can run as a group trip, with prices starting from $3,699 per person for a complete group. If you are looking to join a group or you are a solo traveller we will help to form likeminded groups of travellers. Please let us know your travel plans. Prices shown are for accommodation in a Standard Double Dome in high season. High season dates: 1 November - 14 December 2018 and 21 January - 31 March 2019. Peak season dates: 14 December 2018 - 20 January 2019. Number of nights can be set between 3 and 7. Single, double and triple occupancy available. Single supplement - 80,244 CLP.